The Horizon Eco-Friendly Natural Bedroom Collection! 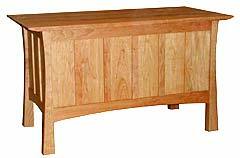 Solid wood frame and panel side construction sets this collection apart from standard slab-sided furniture. 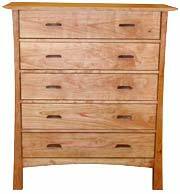 The quality construction methods practically guarantee that this furniture will last a lifetime. The collection is sanded smooth and hand rubbed with natural linseed oil, which protects perfectly and naturally. 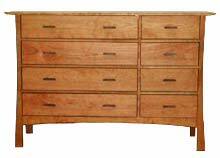 It also develops a patina and depth of natural color over time which is not possible with a lacquer or chemical finish. 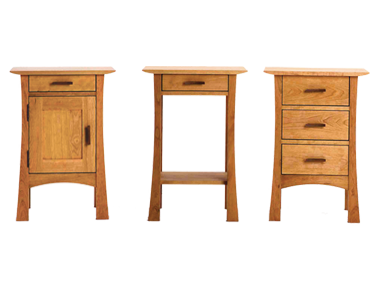 Truly a stunning natural collection - sustainably harvested, produced, assembled and finished in the most natural way. 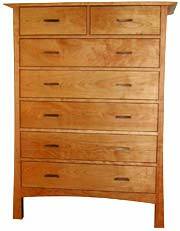 As a result and perhaps the strangest thing that sold us on this furniture was the smell of it when it arrived - we're not kidding - it filled the room with a pure natural wood aroma as if we were transported to a beautiful sustainable forest on a bright sunny day deeply breathing in the aroma. It was amazing!! 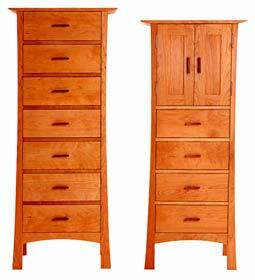 Discover the beauty, craftsmanship and quality of the Horizon Bedroom collection, for customers who appreciate the difference of solid, hand crafted, heirloom quality furniture without the monetary or environmental cost. 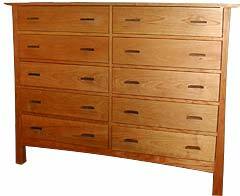 Choose below from the standard Horizon bed or the Greenwhich bed and then pick out any of the matching horizon bedroom furniture pieces below(dressers, nightstands,etc.) 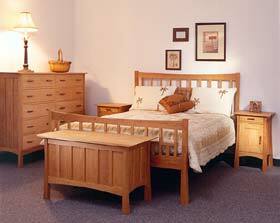 to complete your bedroom in pure natural style! 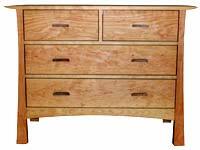 All casegoods (nightstands, dressers, etc.) feature natural walnut knobs. 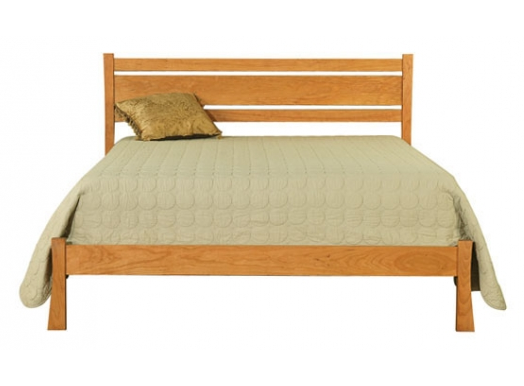 The Horizon or Greenwhich beds can be ordered as a slat frame bed (which would not require a boxspring or wood foundation)or they can be ordered as a box spring/foundation bed so you can easily fit your existing boxspring/foundation into the frame with no difference in bed height. Allow 4-6 weeks delivery. 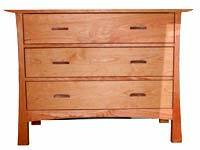 As with all bedroom furniture orders, shipping is not included when placing your order. Once your order is placed we will contact you with a shipping quote based on the best available shipping rates from multiple carriers.